Maybe Yamaha wanted to avoid being swamped by the Kawasaki H2R news frenzy at INTERMOT or whatever else is coming at the EICMA show, but for whatever reason, Yamaha is releasing new motorcycles today at AIMExpo in Orlando. First up is the 2015 Yamaha YZF-R3, which we first saw teased last March. The all-new R3 is powered by a 321 cc, liquid cooled, in-line two-cylinder fuel-injected engine. The frame and swingarm are steel, giving the bike a wet weight of 368 pounds. That puts it in roughly the same range as the Honda CBR300R and the Kawasaki Ninja 300. 2015 Yamaha YZF-R3. Yamaha Photo. The Yamaha website touts KYB suspension and "lightweight" 10-spoke wheels. An all-new LCD instrument panel is included to provide a nice polish to the package, but very little information is available currently on those components. The 2015 Yamaha YZF-R3 will be available March 2015 and have an MSRP of $4,990. 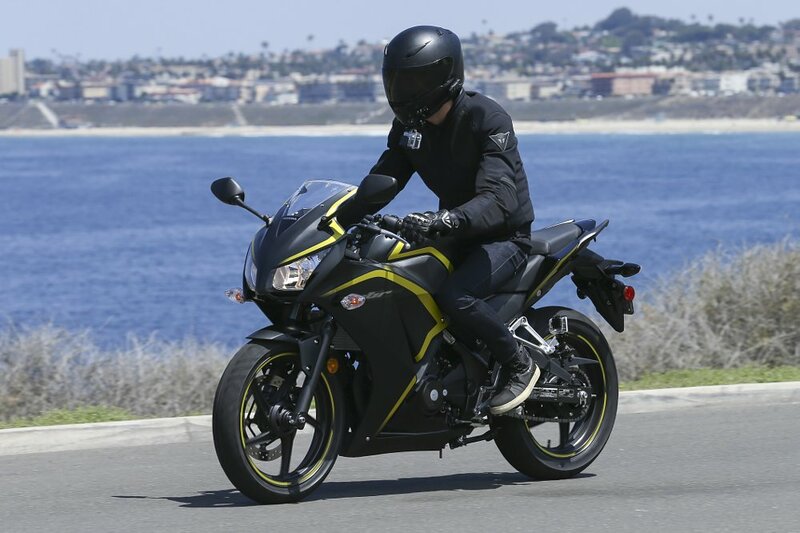 With three new and updated models in this class, anyone shopping for an entry-level sportbike has better options than ever. RevZilla's Ryan Targoff tries the R3 on for size at AIMExpo. Photo by Ed Wildman. Here's some video of the R3 shot by our team at AIMExpo.